GenIQs Inventor: Bruce Ratner, Ph.D.
Bruce Ratner, Ph.D., The Significant Statistician(c), is President and Founder of DM STAT-1 Consulting, the ensample for Statistical Modeling, Analysis and Data Mining, and Machine-learning Data Mining in the DM Space. DM STAT-1 specializes in all standard statistical techniques, and methods using machine-learning/statistics algorithms, such as its patented GenIQ Model, to achieve its clients' goals – across industries including Direct and Database Marketing, Banking, Insurance, Finance, Retail, Telecommunications, Healthcare, Pharmaceutical, Publication & Circulation, Mass & Direct Advertising, Catalog Marketing, e-Commerce, Web-mining, B2B, Human Capital Management, Risk Management, and Nonprofit Fundraising. Bruce’s par excellence consulting expertise is apparent, as he is the author of the best-selling book Statistical and Machine-Learning Data Mining: Techniques for Better Predictive Modeling and Analysis of Big Data. Bruce assures his clients' marketing decision problems are solved with the optimal problem-solution methodology; rapid start-up and timely delivery of project results; and, client projects are executed with the highest level of statistical practice. He is an often-invited speaker at public industry events, such as the SAS Data Mining Conference, and private seminars at the request of Fortune Magazine’s Top 100 Companies. Dr. Ratner has his footprint in the predictive analytics community as a frequent speaker at industry conferences, and as the instructor of the advanced statistics course sponsored by the Direct Marketing Association for over a decade. He is the author of over one hundred peer-reviewed articles on statistical and machine-learning procedures and software tools. He is a co-author of the popular textbook The New Direct Marketing, and is on the editorial board of The Journal of Database Marketing. Bruce is also active in the online data mining industry. He is a frequent contributor to KDNuggets Publications, the data mining community's top resource.. His articles on statistical and machine-learning methodologies draw a hug monthly following. Another online venue in which Bruce participates is the professional network LinkedIN. Bruce’s seminal articles posted on LinkedIN, covering statistical and machine-learning procedures for big data, have sparked countless of rich and spawning discussions. In addition, he is the author of his own DM STAT-1 Newsletter on the web. Bruce holds a doctorate in mathematics and statistics, with a concentration in multivariate statistics and response model simulation. His research interests include developing hybrid-modeling techniques, which combine traditional statistics and machine learning methods. 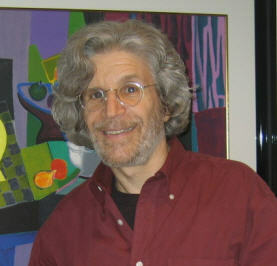 He holds a patent for a unique application in solving the two-group classification problem with genetic programming. For more information about this article, call Bruce Ratner at 516.791.3544; or e-mail at br@dmstat1.com.